Poet and author addresses students at Birmingham City University (BCU). Justin Rollins' autobiographical book The Lost Boyz and poetry collection Street Crhymes have been adopted as required reading for over 500 Criminology students at BCU. Both deal with his life on the streets of South London as a gang member facing violence daily and other risks of a throwaway lifestyle. Students are examining Justin's past life as a young tearaway riding the Underground and rail network spraying graffiti. 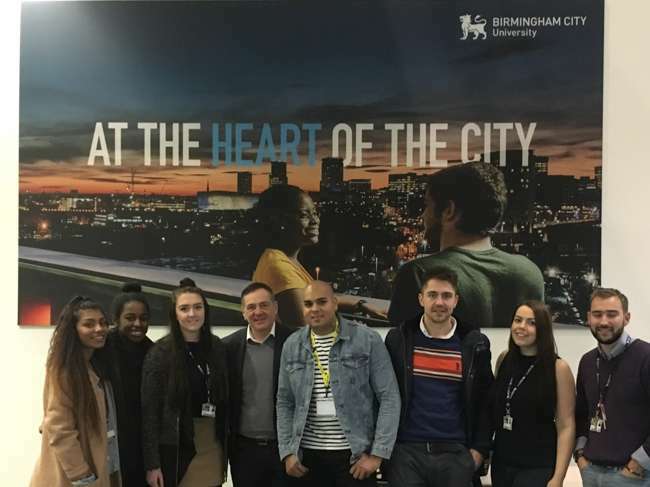 The unusual insights into crime and punishment that the students gain from his work were first spotted as a learning tool by BCU's Professor Emeritus and TV crime expert David Wilson. The point about the books is that they work in a dynamic way, Rollins' life story sets the scene for the poems and the memorable poetry (which Rollins himself sometimes performs in rap form) helps to explain the story, and vice-versa. This unique interaction is the basis for a novel and dynamic approach to education where the effort of learning disappears within the enjoyment of making connections, solving puzzles and wanting to gain understanding. 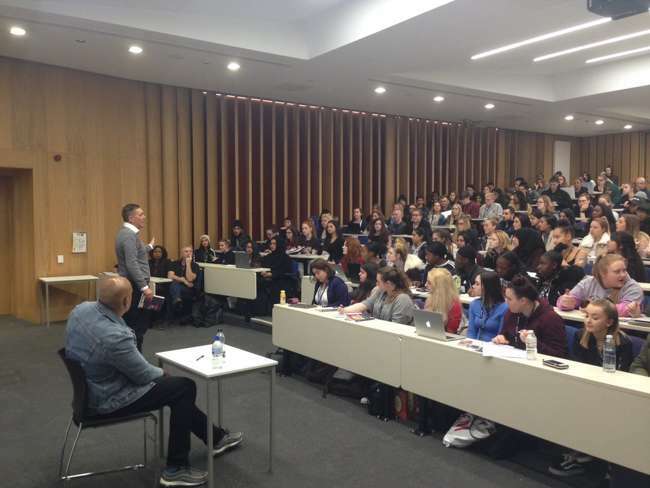 Because of my age (33) I think students relate to my stories, also because they deal with current issues of street gangs and of course knife crime, always a big issue in London and other cities: Justin Rollins. "Justin's book and how he described his life to the students, constantly challenges them to think about the relationship between criminological theory and practice. What they learned from him and what he has written is invaluable and, for some, will be life-changing": Professor David Wilson. Justin Rollins is the third Waterside author whose work has been used in this way as a set text at BCU. He follows in the footsteps of Allan Weaver (So You Think You Know Me) and Frankie Owens (The Little Book of Prison). As with Rollins' books, these deal with how and why young people can get into crime, and more importantly contain a key as to why some leave it behind to lead law-abiding adult lives. BCU very much leads the field in this ground-breaking approach to the study of Criminology. Justin Rollins grew-up on the streets of south-London and was a one-time leader of a graffiti gang. He now sells his graffitti art in print form at London markets. He is the author of The Lost Boyz and Street Crhymes.